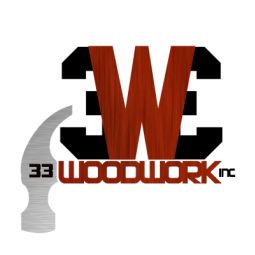 Remodeling your kitchen and don’t know where to start?, 33 Woodwork is the interior remodeling leader in NYC. We use the highest quality materials and have a vast selection of materials to choose from. We guide you through the process of selecting the best choices to fit your style. We can design a brand new custom kitchen or simply remodel the kitchen you already have. Contemporary, traditional, or modern, it's your kitchen. We will take down the old cabinets and install the new ones while adding new features. Want an island cook top, commercial grade appliances, a pot rack, or a designer back-splash? Want a wine fridge or a second sink on the island? 33 Woodwork means a perfect kitchen with one solution. View Our Custom Kitchen Remodeling Gallery.